Image scaled down from 840px to 740px wide. Click the image to view the original. 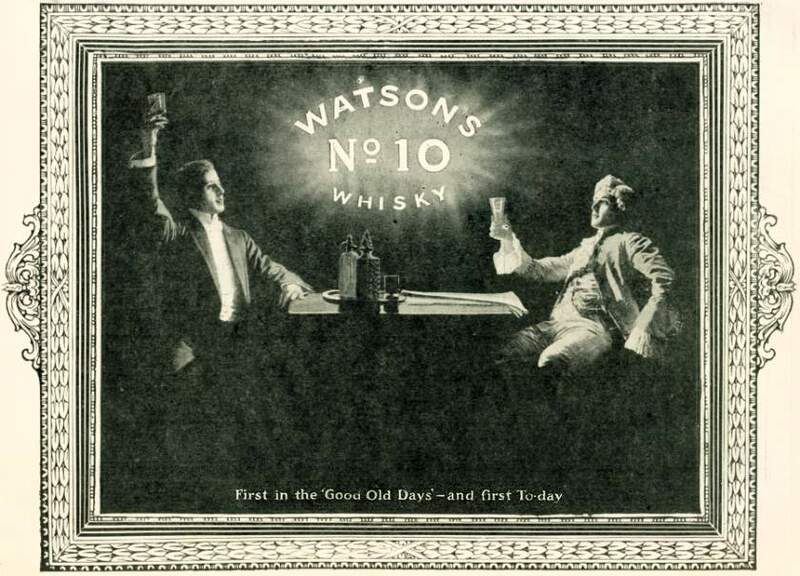 Watsons No 10 Whisky. First in the 'Good Old Days' - and first To-day.